Able Enforcements are the country’s leading experts on the removal of protesters and travellers. We have been involved in projects such as Bristol Metro Project, for Bristol City Council, Leith Hill for Europa Energy and Horse Hill for UKOG, to name but a few. 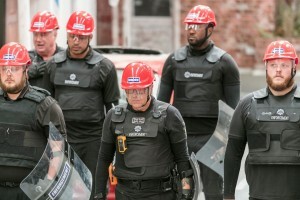 Our Public Order Enforcement teams (POETS) are uniquely selected and can work under the harshest of conditions, which involve public order situations or contentious matters such as traveller evictions. 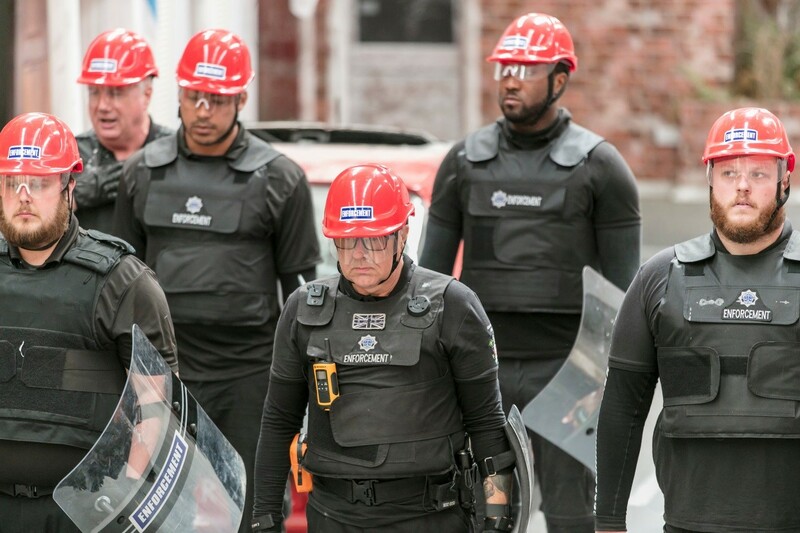 The teams are qualified, experienced and trained to enter buildings and gain access to land to remove protesters or squatters and travellers. Our teams recognise there is a growing need to provide this eviction expertise to avoid delays and ensure that the correct legal procedures are followed in large scale operations. Speed is all important to reduce the risk of further damage to the property or site, especially where enforcement agents face significant physical resistance and public order risk with police force resources being as stretched as they are. Enforcement Agents and accompanying police officers may risk injury, as they experience the possibility of missiles being thrown at them. When it comes to protesters who have locked-on at height or have gone underground, we work with a specialist team that are all qualified to work in these kinds of environments. This is whilst the Enforcement Agents are trying to overcome obstacles, which are blocking their access to the building and land that they have been instructed to recover; this is why we pride ourselves as having the best officers available to handle the situation. Our Public Order Enforcement Team are trained to the highest of standards – equivalent to the Police Tactical Support Unit Training – level 3 (intervention including handcuffing, & Conflict management). Training is undertaken with a very experienced retired police officer & PSU trainer, with the courses following the police tactical support training manual. The kit consists of a transparent intermediate protective shield, a visor helmet, and shin and elbow guards, along with fireproof coveralls when required. The training includes the use of the shields to approach and provide protective cover. This cover is essential to ensure our Enforcement Agents gain access to the building and provide ongoing protection, especially in situations where there might be missiles or objects thrown, whilst remaining safe. On land and large sites, it also enables large barriers and obstacles to be secured and safely removed. The Enforcement Agents are Conflict Management Trained, BTECH Level two handcuff restraint, along with trained First Aiders. Refresher training is carried out every six months, but not just on the physical side, we also carry out refreshers on the legal aspects, and continued CPD with Conflict Management. The agents are individually selected for this specialist service during training. They will be chosen when they consistently perform as natural team members – even when subjected to extreme pressurised situations. This is key to ensure the Enforcement Agent will work within a tight unit under the most challenging of circumstances. 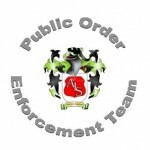 To maintain the high standard required, each Enforcement Agent attends three refreshers courses per year. Clients can, therefore, be assured that professional reputation is safeguarded. Our MD, Steve Wood, was the first to highlight this need and introduce the idea of the Public Enforcement Teams. He said, “We recognise the requirement and need for these Public Order Enforcement Teams, especially today with police budgets being cut and resource levels constantly under pressure. Today, the police are not there to carry out evictions on private land, they only assist to ensure that no breach of the peace is created on either side. Therefore, our POETS Teams are uniquely placed to quickly deploy response teams across England and Wales acting under all legal sources open to them, including but not limited to, Common Law. This service further establishes our position as an all-in-one Enforcement solution for landlords and their property management agents and solicitors”. For more information about our Public Order Enforcement team or to enquire about any of our other services, please call us on 0845 370 7401 or you can email us.